icon_vacationagent Hurtigruten offers modern adventure travelers one-of-a-kind experiences at pristine destinations. Hurtigruten exploration cruise company named William Harber president for the Americas in November. He will be based in the company’s Seattle regional headquarters, relocated from Hong Kong, where he served as president for China and Asia-Pacific. Harber previously was senior vice president-Asia for Norwegian Cruise Line Holdings and vice president-market development for Carnival Asia. We caught up with him to discuss the company’s relationship with travel agents, its new expedition and its traditional Norwegian Coastal Voyages, which have been operating for nearly 125 years. VacationAgent: Do you think Hurtigruten should be better known among U.S. agents and consumers? 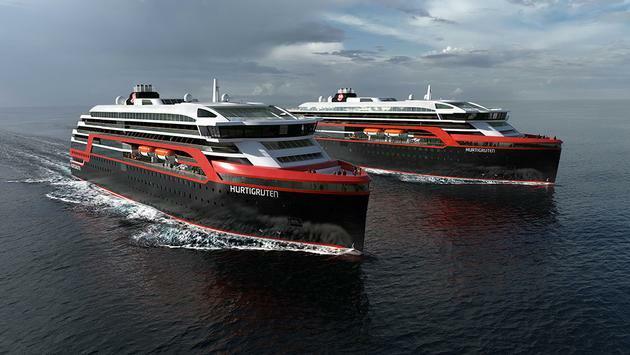 William Harber: Absolutely, Hurtigruten should be better known. As the world leader in exploration travel, Hurtigruten is the best-kept secret in the cruise industry—but not for long! Following the history of the Vikings and Norway’s polar pioneers, Hurtigruten combines exceptional tradition and know-how with innovation, the highest maritime reputation and a strong commitment to sustainability. Hurtigruten should be known for offering a highly attractive premium product for the modern adventure traveler seeking one-of-a-kind experiences at pristine destinations. VA: How is the company’s relationship with travel agents? Will you take further steps to cement those relationships? WH: As I’ve learned from my time in Asia, you should be humble, but you can’t be timid. Hurtigruten is not a well-known brand in the Americas right now, and we’re not the largest cruise company by far. We take our guests to where they’ve never been. Our expeditions require some explanation, so we need to be easy to work with and trade-friendly. This means providing agents with the incentives, marketing tools and unique selling points to promote Hurtigruten with confidence to both cruise enthusiasts seeking the ultimate voyage and to adventure travelers seeking a base camp for their polar experience. By ensuring our agent partners’ success, we ensure Hurtigruten’s success. VA: Tell us more about your new expedition ships, including the MS Roald Amundsen, which is due out in October 2018. WH: Hurtigruten is a larger company than most agents realize. We currently have 14 ships in our fleet. Our two newest, MS Roald Amundsen and MS Fridtjof Nansen, are named after polar pioneers and will be the first hybrid battery-powered cruise ships in the world. Electric propulsion allows them to sail silently among glaciers or within a fjord for a period of time. The total reduction in fuel consumption, and hence CO2 emissions, is another gain from this technology, which will improve over time. In combination with the construction of the ships’ hulls and effective use of electricity on board, we’ll reduce emissions by 20-percent. 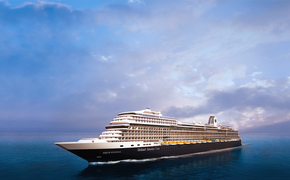 The new ships also include an entertainment center, a science center, specialty dining rooms and Blueye Pioneer underwater drones that allow guests to experience some of the world’s most remote destinations under the sea. The newbuilds will have large outdoor observation decks and, yes,the outdoor pools will be heated! We have also just announced a new selection of 2019-20 itineraries that will explore remote areas and new waters in Russia, the Norwegian coast and the full Northwest Passage. We’ll also give our agent partners even more options for guests to experience what it means to sail north of the 80th parallel line—only 600 nautical miles from the geographical North Pole and the farthest north any Hurtigruten expedition vessel has ever operated. VA: Is the traditional Norwegian Coastal Voyage still popular? WH: Hurtigruten means “fast route” in Norwegian. We’ve sailed Norway’s coastline for nearly 125 years, so it’s part of the company’s DNA. These sailings offer the opportunity to drift through some amazing fjords. Depending on the season, guests drive snowmobiles, ride in dogsleds and go snowshoeing, hiking and kayaking. The difference is we’re a Norwegian company proudly hosting you in our own backyard, and that comes through with the warmth and hospitality shown to our guests. In Norway, we have sailings every day of the year. Our guests marvel at the Northern Lights in winter time, witness an Arctic Awakening in the spring and visit the land of the midnight sun in the summer, and come back to amazing cuisine in what we call Norway’s Coastal Kitchen. We’re so confident that the Northern Lights will make an appearance during a 12-day roundtrip cruise in Norway that if they don’t, we’ll give our guests a six- or seven-day cruise free. VA: How would you suggest travel agents market and sell Hurtigruten? WH: Marketing and selling Hurtigruten starts with the destinations. For most cruise companies, the ship is the destination. For us, what’s going on outside of the ship in the natural world is much more interesting than any attraction on the ship. For example, we don’t have rock-climbing walls, but if you want to go rock climbing, we have an expedition team member who will take you rock climbing. Hurtigruten doesn’t sell cruises as much as it offers adventures. It doesn’t board passengers; it hosts explorers. Rather than a cruise director, Hurtigruten has an entire expedition team of adventurers to take our guests on landings and provide them with lectures and learning at sea. Our expedition teams [comprise] some of the most interesting people you’ll ever meet, and [they come from] a range of backgrounds, including biologists, geologists, historians and photographers, all of whom are eager to share their knowledge and experiences with you.